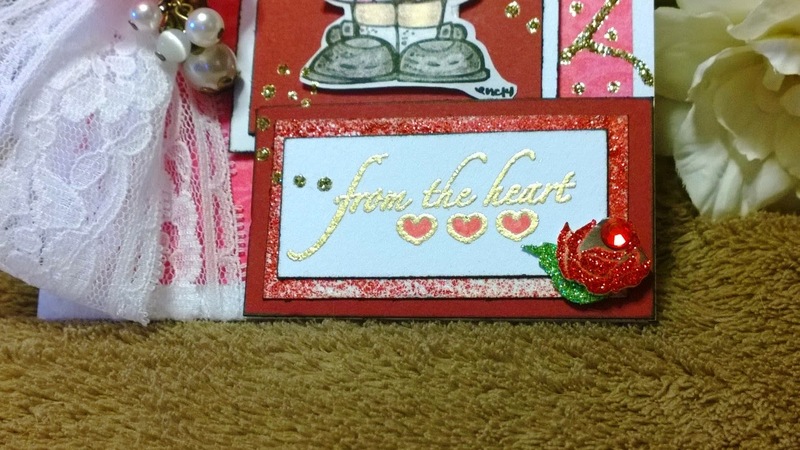 "Hearts and Love Season" is in full swing! I created this card for the challenge at Melonheadz and hope you will visit them to join in! 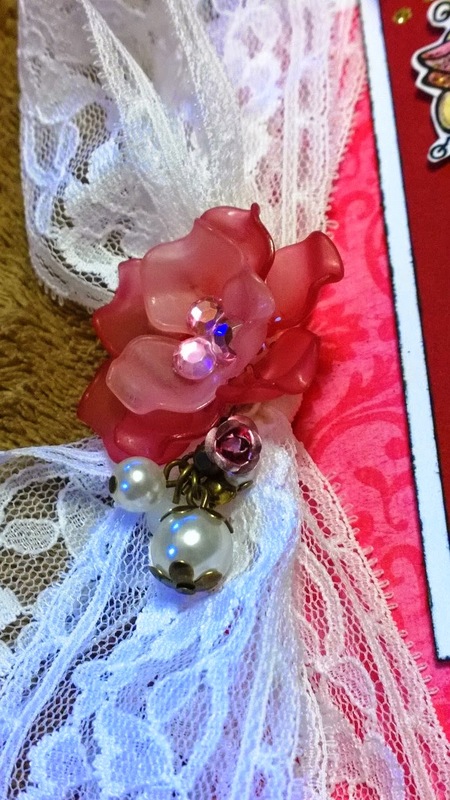 A white lace bow was made for the side of the card and I hot glued a plastic flower embellishment with a Fairy Tale charm to the center. The digital stamp of the little girl can be found at Melonheadz Designs.